At Gruber Law, PLLC, our team is dedicated to crafting a personalized, efficient and reasonably priced plan that meets the demands of every client. Our time-tested approach is centered around understanding that estate planning and probate proceedings deal with personal matters that may be difficult to discuss. For this reason, attorney Matthew A. Gruber focuses his practice on ensuring that each and every client understands all of the options available to them and guides them to make an informed decision about their estate planning, estate litigation, probate administration or trust administration needs. Efficiency: Our office is organized and eco-friendly. By maintaining a paperless office and being in the cloud, we are able to respond to emergencies in real time from anywhere. Estate planning is not only for the wealthy. Everyone has something that they care about and should have some planning to protect that interest. The estate planning process involves much more than just writing a will. Proper planning can help you take care of your children, meet financial goals, create medical plans, designate end of life wishes and distribute assets. It is often difficult to think about what happens when we are faced with the tribulations of medical problems or in the worst case, when life ends. These scenarios are challenging to discuss with loved ones, but it is crucial that conversations take place that address the necessity of preparation. By creating a plan with a Miami estate planning lawyer, you are not only preparing for your eventual demise but also giving your loved ones the peace of mind that they have the authority to make decisions on your behalf, if you are not able. 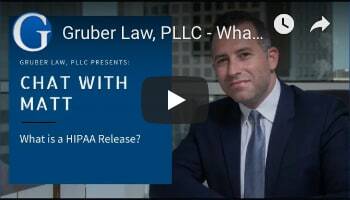 At Gruber Law, PLLC, we pride ourselves in making the estate planning process painless and being available to our clients to answer the hard questions that arise. We are fully equipped to handle emergency situations and can respond at a moments notice with home and hospital visits, to ensure that our clients have the peace of mind they deserve. If you are looking for an estate planning lawyer in Miami, contact attorney Matthew A. Gruber to get started on an estate plan. It is difficult to imagine that sometimes, things don’t go as planned or people do things that don’t appear to be fair. When that happens, our clients must make the difficult decision of whether fighting will result in victory, and at what cost. Sometimes litigation is inevitable and the key to our success in litigation stems from our ability to be problem solvers. The resolution of estate litigation issues requires a combination of extensive knowledge in estate planning, real estate, consumer protections, business and banking laws. Often times, a team of professionals is needed to win a case. Attorney Matthew A. Gruber has an amazing team comprised of an extensive network of accountants, financial advisors, attorneys, realtors and experts that can come together at any time to address an issue. At Gruber Law, PLLC, we provide multiple solutions, cost-effective representation, realistic timelines, and clear and open communication with our clients to achieve a just outcome. When someone passes away with an ownership interest of an asset in their individual name, a probate case must be filed. This means that a Judge becomes involved in the entire administrative process, including distribution of assets after someone’s death. The probate process can be directed by a person’s will, or if no will exists, in accordance with state laws. Within the state of Florida, the statues have been modified to provide protection to assure that the decedent’s wishes are carried out. Miami Probate Administration attorney, Matthew A. Gruber is experienced in handling probate matters for south Florida residents. His extensive resume in handling probate proceedings has translated into the creation of an efficient and cost-effective client-focused plan. Our firm will hold your hand through the intricacies of probate court, keeping in mind just how difficult the end of life process is. Contact Gruber Law, PLLC to speak with experienced attorneys to help you through the challenging process of probate administration. Trusts are created to protect people and property. They function by holding and managing certain assets and, upon a certain event, will allow for the transfer ownership over to another person or group of people. Trust administration is the act of carrying out all the managing acts needed to satisfy the terms of a trust. Throughout the trust administration process, there are specific trust requirements, legal procedures, practical considerations and random complex issues that must be addressed. The Trustee should hire an attorney to represent them in the faithful administration of the trust. The last thing any Trustee wants is to be sued by a third party or beneficiary for simply trying to do their job. As a beneficiary, you too want to ensure that a Trustee is not cutting corners or doing something that is not in your best interest. A trust administration attorney can offer legal and practical advice in carrying out this process. At Gruber Law, PLLC, we strive to offer the most efficient and cost-effective representation in trust administration. Whether you seek representation as a Trustee or beneficiary, our goal is to make sure that you are well represented and informed. Our years of experience in trust drafting and administration offers our clients a unique perspective in dealing with complex estates that often involve both probate and trust assets. Our lawyer, Matthew Gruber, can help the successor trustee or beneficiary navigate the complexities of trust administration. Our Miami based law firm has had the honor of serving thousands of families all across South Florida. Our central Pinecrest location makes us accessible to virtually all Miami residents. We are proud that our paperless approach to practicing law has allowed us to better protect both our clients and the environment. Our pioneering attitude enables us to help our clients from anywhere at any time. To get started on protecting and planning your family's future with a trustworthy Miami estate planning attorney, call Gruber Law, PLLC, at (305) 665-8888 or contact us online to set up an initial consultation. You head home from work one evening and notice a lump on your back while showering. After consulting with a doctor, you discover that a small cyst has formed on your back. Am I Permitted to Sue Even if I’m Partially at Fault? Fill out the contact form or call us at (305) 665-8888 to schedule your free consultation.